A pharmacist-led educational intervention can effectively discontinue inappropriate medication prescriptions, recent research shows. Medications are listed as inappropriate under guidelines such as the American Geriatrics Society Beers Criteria because of the availability of safer therapies and risks of patient harm, including adverse drug events, falls, cognitive impairment and emergency hospitalizations. In 2015, an estimated 29% of Medicare beneficiaries filled at least one prescription for an inappropriate medication. Pharmacists can play a key role in helping physicians discontinue inappropriate medications among older adults, researchers wrote recently in the Journal of the American Medical Association. “Deprescribing is the act of reducing or stopping medication that is no longer necessary or that may cause harm. 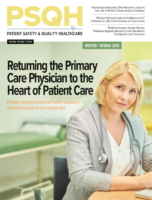 Primary care physicians express a lack of time, poor awareness of the harms of medications, and fear of withdrawal symptoms or patient criticism as barriers to deprescribing. Pharmacists can assist physicians in optimizing medication management,” the researchers wrote. In a study featuring 489 older adults, the researchers examined the impact of a pharmacist-led education intervention to deprescribe inappropriate medications. They found 43% of patients receiving the intervention achieved discontinuation of inappropriate medications after six months compared to 12% receiving usual care. Patients receiving usual care had normal care delivered in everyday practice with no educational materials from pharmacists. “Pharmacists in the intervention group were encouraged to send patients an educational deprescribing brochure in parallel to sending their physicians an evidence-based pharmaceutical opinion to recommend deprescribing. The pharmacists in the control group provided usual care,” the researchers wrote. For patients, educational material featured a drug-specific brochure. Pharmacists distributed the brochures in person or via mail. The brochures explained how the medication could be inappropriate and alternative therapy options. For sedative-hypnotics, patients were given a visual tapering protocol. “The patient brochure was eight pages and had true and false questions about the risks of medications, an explanation why the medication may no longer be safe, alternative and safer treatments, a peer champion story, and a tapering protocol where appropriate,” Cara Tannenbaum, MD, MSc, a co-author of the JAMA research, told HealthLeaders last week. For physicians, educational material featured an evidence-based pharmaceutical opinion that pharmacists could use or adapt for each study participant’s clinician. The pharmaceutical opinion included an explanation of why deprescribing was being recommended, potential medication harms, sources of recommendations, options for safer therapies, and study participant data.